Beth Ann & Jessica's Helpful Savings: Vitacost: Up to 55% off for the Huge Weekend Sale, plus $10 off $30 when you sign up for Vitacost! 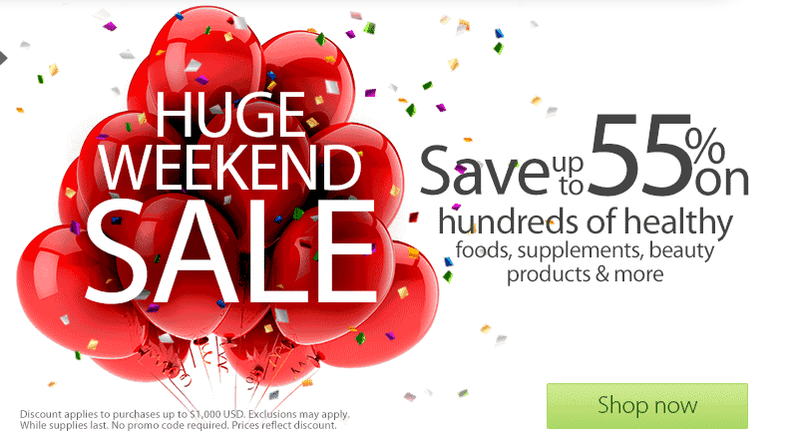 Vitacost: Up to 55% off for the Huge Weekend Sale, plus $10 off $30 when you sign up for Vitacost! 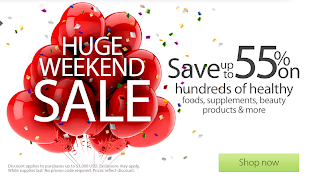 Vitacost: Up to55% off for the Huge Weekend Sale, plus $10 off $30 when you sign up for Vitacost! 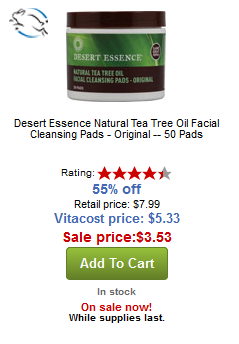 I may have to stock up on the Desert Essence Natural Tea Tree Oil Facial Cleansing Pads. I got these a few months ago during my Vitacost review (you can read about that here) and they are awesome! Plus, go through Shop at Home to earn up to 8% cash back on your Vitacost purchase!